Welcome to Sludgebusters, San Diego County's most trusted contractor for septic tank pumping, inspection, repair, sales and installation. For over 30 years, we have served thousands of residential and commercial customers, and have built a reputation for always offering high quality septic services at very affordable rates. 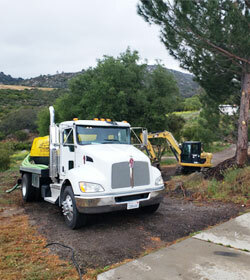 Since our owner is president of the San Diego County Sewage Haulers Association (SDCSHA), you can trust that we are committed to setting the gold standard for septic service. 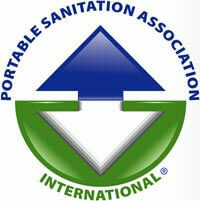 We are certified by the National Association of Wastewater Technicians (NAWT); have a Class A general engineering contractor license; and are members of the Portable Sanitation Association International (PSAI). Our vehicles are inspected annually by the San Diego Department of Environmental Health, and we are fully licensed, bonded and insured. More than 90% of our business is from return customers who call us every few years to professionally pump and clean their tanks. We use modern, efficient equipment to get all the solid waste and undigested trash completely out of their tanks. If you don't know where your septic tank is, don't worry; our professionals can find it. Regular maintenance can keep a septic system running smoothly for decades. However, if you observe any issues, such as odors, slow drains, toilets not flushing well, or gurgling sounds, your system may be in need of urgent repair. We will troubleshoot the underlying cause and offer the most cost-effective solutions, which are almost always less expensive than system replacement. We offer comprehensive septic tank repair services that include leach pipe additions and replacements; tight line repairs; inlet and outlet fitting replacements; and tank deck repair. We will even install riser lids. We also perform tank modernizations; tank upgrades for increased capacity; and new installations--all done to code. Additionally, we conduct septic tank inspections, in which we provide a written report that details the septic tank's functionality, age, integrity and overall maintenance, as well as issue septic tank home certifications. 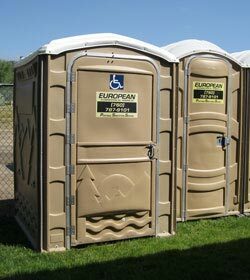 Sludgebusters is also the premier provider of portable toilets in the San Diego region. We rent VIP, trailer, deluxe solar, handicapped, comfort-sized and standard portable restrooms for temporary and permanent placement. We also lease temporary storage tanks for trailers and office buildings. 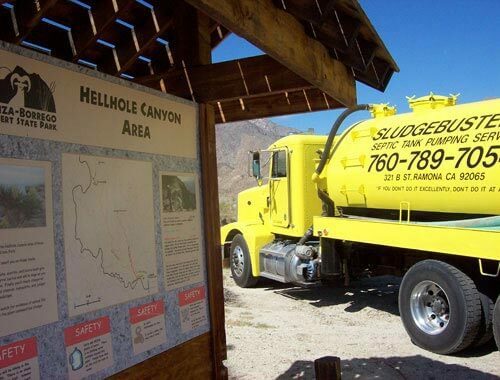 Call Sludgebusters today for San Diego's best value in septic services and portable toilet rentals. We go the distance to make sure our customers are satisfied.